How to Work a Manufacturing Trade Show Booth? This article is the second in a three-part series helping manufacturers maximize their return on investment in trade shows. In this part, we discuss attracting the right leads. Manufacturers exhibit at industry trade shows to gain brand exposure and begin conversations with an audience they couldn’t access otherwise. If you rely on trade show leads to fill your business development pipeline, the tendency may be to focus on quantity over quality. 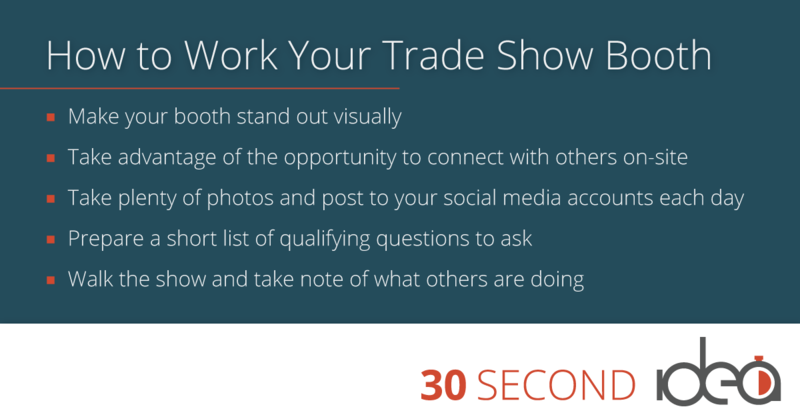 But, if you want to come home from your next trade show with opportunities instead of contacts who aren’t a good fit for your company, focus heavily on attracting and engaging the right visitors during the trade show. Every trade show exhibitor has to address two challenges: Getting people to their booth and determining which ones to follow-up with later. Like most manufacturers, Butterfield Color likes to highlight what’s new in its industry. When the World of Concrete trade show began, the company leveraged social media to share photos of the incredible week-long process involved in building its booth on-site. The timely post generated a strong response among its followers–many of whom may have been attending the event. Each year, Butterfield also presents its three Project of the Year awards in person at the World of Concrete event. The year-long contest encourages residential, commercial or municipal installers to submit images of their completed projects in order to qualify for a trip for two to the following year’s World of Concrete. By exhibiting their work in person and recognizing quality examples of it, Butterfield was able to attract people who were already fans of their work. That type of foot traffic also drew the interest of passersby who may not have otherwise stopped. Karper previously worked for Nimloc, a leading manufacturer of trade show equipment, booths, banner stands, and flags. 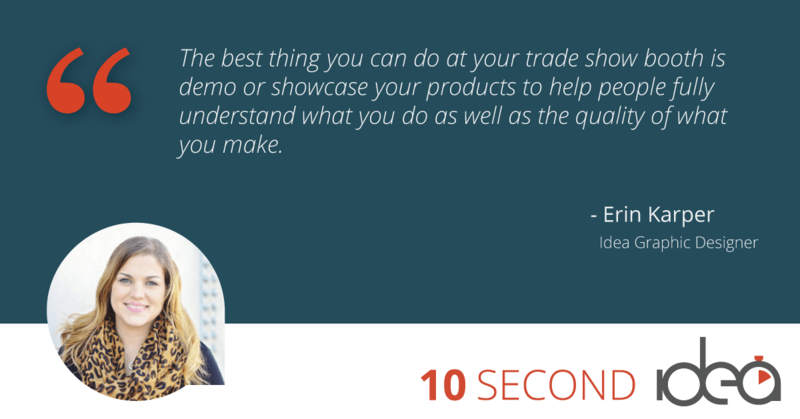 Having supported 8-10 trade shows each year, she gathered a number of helpful tips for exhibitors who want to stop traffic. Beyond simply having the largest trade show booth, the best-dressed exhibitors or the most dynamic videos playing on the biggest screens, Karper said it helps to engage attendees in activities or games. She cautioned though, to be sure any trade show gimmicks are on-brand for your company and don’t distract from winning new business. Your booth is an extension of your company and its people. It should communicate what it’s like to work with you–whether that feels like a day at the beach, a night on the town or somewhere in between. Karper also said that most of the people who came to the booth did so to personally meet their sales rep. The excitement around that face-to-face moment shows the importance of customer relationships. Engaging trade show attendees and quickly qualifying leads is still a major challenge for many manufacturers. The temptation may be to immediately reach for the badge scanner or ask for a business card every time you get someone’s attention. But, that excitement can result in a database of unqualified leads. Having a systematic process for engaging, qualifying, and documenting leads will maximize your time and effort. 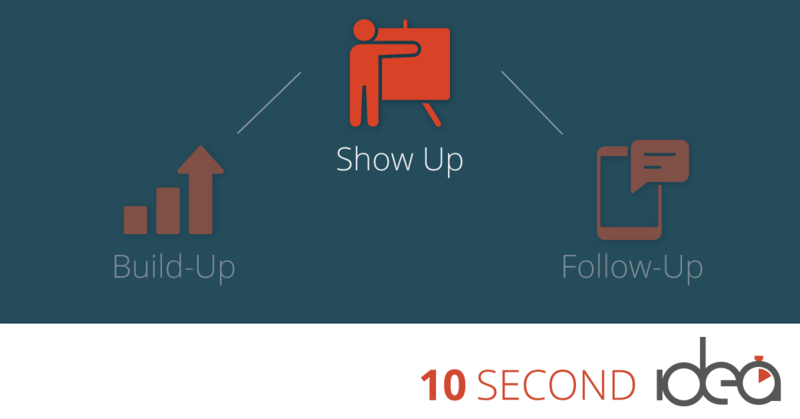 A repeatable process will also make post-show follow-up easier to do and more effective. What was it about our booth that caught your eye? What’s the biggest need you’re facing in the next 12 months? Trade show attendees may visit 20, 30, or 100 different booths over a three-day period. Make your booth stand out visually. Most trade shows encourage attendees and exhibitors to download an event app and use a specific hashtag for related social media posts. Take advantage of the opportunity to connect with others on-site. Remember to take plenty of photos and post to your social media accounts each day. Show your team interacting with visitors. Be sure to capture your entire booth. Prepare a short list of qualifying questions to ask when attendees visit your booth. Take some time to walk the show. Look for competitors and take note of what others are doing to stand out or engage attendees. At Idea Marketing Group, we specialize in custom manufaturing web design and manage an array of marketing services that includes SEO, PPC advertising, graphic design, email marketing, social media, and content creation.